Many companies and startup approach the 3D printing technology with new ideas and tools that aim to make the technology affordable and cheaper for everyone. While ago, we explored EinScan-S, a new Kickstarter 3D scanner that is manufactured by Shining 3D. Although there are many 3D printers with different price range and technology, the 3D scanners are still out of reach. Most of the 3D scanners in the market is very expensive, which limits the users from using the full capabilities in the 3D printing technology. 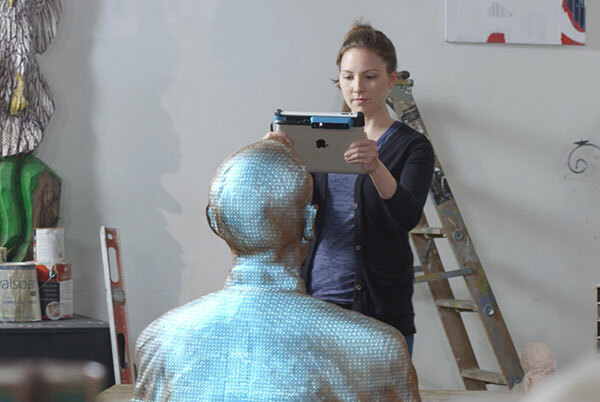 Structure is one of the leading 3D scanning companies who manufactured the first 3D scanning sensor for mobile devices. Yes, you can attach this small sensor to your iPad or iPad Air and start turning the world around you into 3D computer models. These models can then printed using a desktop 3D printer or customized for further industrial usage. The Structure Sensor is designed to provide 3D depth sensing for the real objects and capturer it and convert to computer model with high accuracy and real dimensions of the original object. 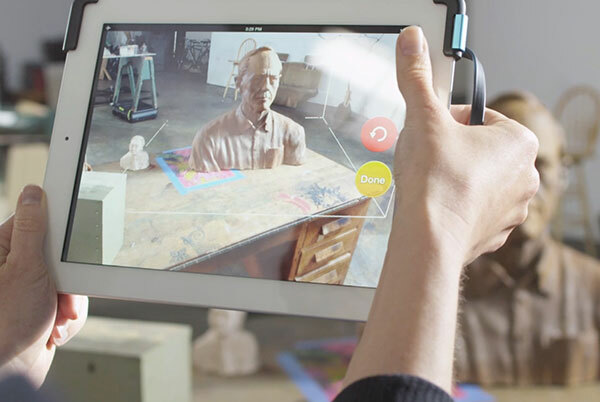 The Structure Sensor is a small device that is attached in front of the iPad camera and controlled through Occipital Skanect, a small application that allows you to capture full color 3D models for people or places around you. 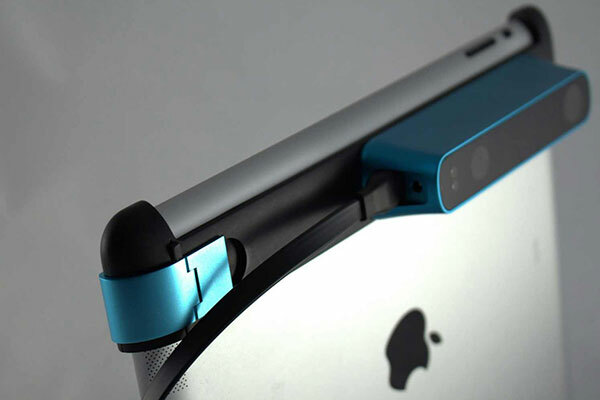 In addition to the Structure Sensor, Skanect can turn your Microsoft Kinect or Asus Xtion camera to a 3D scanner. The latest version of the application is more accurate and support color textures. The application integrates with Structure Sensor to take up to 30 frames per second and build a 3D mesh in the real time for the scanned object. The Skanect application is available on two versions, the free version is for non-commercial use only and has limited features such as expert to Sculpteo 3D printing service and Sketchfab online sharing platform. The commercial version of the software costs $129 and it supports unrestricted export for different 3D printers and platforms. In addition to the 3D scanning, other functions can be applied using Structure Sensor based on the software installed in the iPad. For example, the Room Capture allows the sensor to capture dimensions for rooms and interiors. Additionally, integrating Scanner application with the sensor, it can used as a capture for dense geometry for real world physics. If you interest to use the sensor for augmented reality, Fetch is another application that support using the sensor for colliding objects with the real world objects. Structure Sensor supports all iPad version and can be purchased alone for $379 or in a bundle with Skanect Pro for $499. The package includes the bracket and USB hacker cable. The Structure Sensor is a small device with big expectations. it can be implemented in many applications including the 3D scanning and 3D printing. Attaching it to iPads make it handy and can be carried anywhere without problem with the weight or the volume.